A short history of mutinies and rebellions in the British Royal Navy and Marines from the end of World War I, Russian Revolution and up until 1930. Whilst the mutinies in the German and French Navies in the First World War have been well documented little information is available concerning the British Royal Navy. There was, however, considerable talk of mutiny at Portsmouth, in the summer of 1918. The threat was serious enough for Lionel Yexley, an admiralty agent, to write a report warning the Admiralty of impending trouble. This was only averted by immediate improvements in pay and conditions. Demands for 'lower deck' organisation were taken seriously. Agitation for trade union representation was spreading throughout the Navy. The material conditions of the sailors certainly justified a mutiny. Between 1852 and 1917 there had only been one pay increase, amounting to a penny a day, in 1912. Wartime inflation had reduced the sailors' nineteen pence a day to a mere pittance. Another twopence a day was granted in 1917, plus a miserable separation allowance of ten shillings and six pence a week, for wives. Following a series of mutinies in 1919 pay increases of over two hundred per cent were granted. Shortly after the armistice with Germany the crew of a light cruiser, at Libau on the Baltic, mutinied. Many other ships were sent home from Archangel and Murmansk after similar experiences. In spite of a propaganda campaign against Russia it was becoming increasingly difficult to obtain reliable crews. 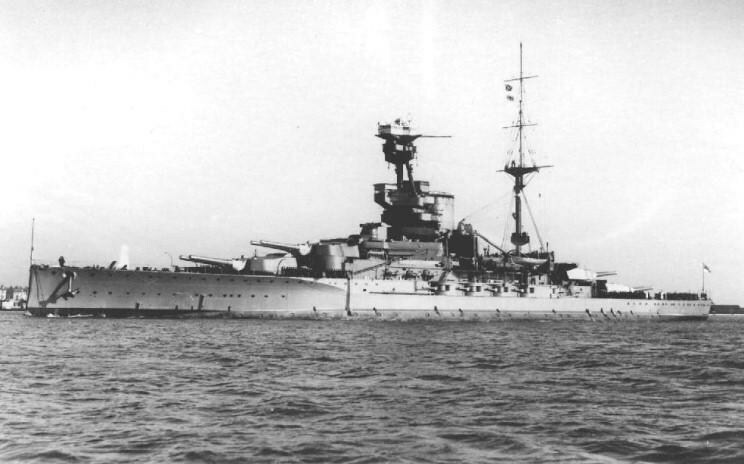 Refusals to weigh for Russia were a regular occurrence at Invergordon, Portsmouth, Rosyth, Devonport and Fort Edgar. Many labour historians have written about the refusal of dockers to load the 'Jolly George' with an arms consignment for Poland in May 1920. But we have heard virtually nothing about far greater challenges to authority in the armed forces. For example, early in 1919 a group of dock workers discovered that the destination of a large cruiser being refitted at Rosyth was Russia. Together with some members of the Socialist Labour Party they leafleted the crew, who refused to sail. In fact the crew stayed put for three weeks, although isolated in mid-stream, until their demands were met and they were paid off at Portsmouth. In January 1919 there were mutinies on the mine-sweepers at Rosyth. On January 13, 1919 there was a mutiny on the patrol boat 'Kilbride' at Milford Haven, where the red flag was hoisted. This was an uneasy year for the Admiralty. On October 12, 150 seamen had broken out of their ships at Port Edgar on hearing that they were due to return to the Baltic. The First Destroyer Flotilla was prevented from returning to the Baltic war. Eventually half the ships sailed on August 14, their crews made up from Atlantic Fleet battleships. Although most of the mutineers were arrested, some 44 men made their way to London to present petitions at Whitehall. They were arrested at King's Cross and sent to Chatham Barracks. Between October 12 and November 21, 1919 some 96 offenders had been arrested and punished, ten by imprisonment. It should be remembered that the government had repeatedly pledged that only volunteers would be sent to fight against the Russians. It is clear that this was not the practice employed by the Admiralty. Those who did not intend to 'volunteer' had little choice but to mutiny and face the consequences. By November 1919 discontent had spread to the aircraft carrier 'Vindictive' (pictured, right) in Copenhagen. A marine detachment was called in to disperse a group of seamen demanding leave. Two men were arrested. Later two stokers were caught trying to stop the fan engines. They were each given five years. The following morning virtually no one turned up for duty. This provoked Captain Grace to arrest five more alleged 'ringleaders'. They were condemned to 90 days hard labour before a dishonourable discharge. Another six were arrested, but resistance continued. The next morning 14 crewmen were still refusing duty and were arrested. That evening another two arrests were made. Meanwhile the crews of the minesweepers operating in the Baltic declared they had had enough. There were incidents aboard the flagship 'Delhi', in December, when only 25% of the crew responded to a command to return to Biorko in the Gulf of Finland. There was a further naval mutiny in Russia, that of the gunboat 'Cicala' in the White Sea. Death sentences were imposed on the 'ringleaders'. The fact that these were later commuted to one year's imprisonment reflects the continuing strength of the sailors' movement. Mutinies in the forces of intervention were not confined to the Navy. There was a large mutiny in a Marine battalion at Murmansk. The 6th Battalion of the Royal Marines, formed in the summer of 1919 at a time of unrest over demobilisation, were originally intended to police Schleswig Holstein. But, at short notice, the Battalion had been diverted to cover the evacuation of Murmansk. They were sent to the Lake Onega region, a further 300 miles south of Kem. In August 1919 two companies refused duty: 90 men were tried and found guilty of mutiny by a court martial. Thirteen men were sentenced to death and others to up to 5 years imprisonment. None of the death sentences were actually carried out. The 90 mutineers were shipped to Bodmin prison, where they continued their resistance to arbitrary authority. (In this they were acting in the best traditions of the Royal Marines. In December 1918 some Marines had been involved in a mutiny inside Bodmin prison which had resulted in three death sentences, later commuted to five years penal servitude.) Continued resistance paid off. The ninety men arrested after the Murmansk incident had their sentences reduced as follows: the 13 sentenced to death were commuted to five years, but 12 were released after only one year, and the other after two years. Twenty men, originally given 5 years, were released after six months. 51 men sentenced to two years were also released within six months. In recognition of the fact that their officers had acted contrary to Army instructions in employing young and inexperienced lads at the front, the remainder of those arrested were either released or had their sentences commuted to 6 months. Following the announcement, on December 22, nineteen of these acts of 'clemency' the First Lord of the Admiralty told the Commons that 'bad leadership' was a factor behind the mutiny. He even hinted at the possibility of disciplinary measures being taken against several officers. Many other mutinies occurred in North Russia. One took place in the 13th Battalion of the Yorkshire Regiment, which ended with death sentences being passed on two sergeants whilst the other mutineers were cowed by White Russian machine gunners called in by the English officers. News of these mutinies was suppressed. They highlighted the reluctance of British sailors to fight against Russia when the government was theoretically committed to a policy of peace. Contrary to what the people were being told, and at the very moment when the hysteria surrounding the Armistice was at its height, the Foreign Office and Admiralty were finalising their arrangements for intervention in Russia. The Navy was not only required for the anti-Bolshevik crusade and to defend Britain's imperial commitments. It was also needed to quell internal disturbances. Towards the end of the 1914-1918 war seamen were trained in the noble art of 'blacklegging' in the event of strikes by railwaymen or power workers. 'The battleship Vanguard', says Walter Kendall, 'was sent to the Mersey to command Liverpool during the Police strike of August 1919'. Resistance in the Navy continued between 1919 and the time of the large Invergordon mutiny of 1931. In 1930 there were no fewer than six major movements within the Navy against conditions of work and the arbitrary injustice of naval discipline. The 'Revenge' (pictured, right), 'Royal Oak', Vindictive', 'Repulse', 'Ramillies' and 'Lucia' were all affected. 5. On December 29, 1919, following a series of acts of militancy, a review of the sentences of those convicted of naval mutiny was announced by the First Lord of the Admiralty. Sentences of up to two years were halved. So were one year sentences. The men serving such sentences had their medals restored. Even the two sailors caught trying to sabot the fan engines of the 'Vindictive' had their convictions reviewed after two years. good post, I actually live in Invergordon but unfortunately the mutiny is pretty much ignored in the history of the town. If you let me have your grandfather's full name, service number (if you have it) and date and place of birth (if you have them) I will see what I can find out. Just a a curiosity I looked at this post and wondered if you could do the same for me as for Gill. My Grandfather also served in RM and was involved in the so called mutiny. I also have on file somewhere a report of the action and subsequent appeals regarding the "mutiny". I was never given the story by my grandfather who stated he got 6 months for jumping ship going to Hong Kong. Nmae Redvers Reginald Jeffries HORSLER. 31 March 1901 LUTON Bedfordshire UK.